Capt. Joe Schumaker and crew Brett Lazenby’s Wednesday trip on Fire Hatt was cut short by a 685.5- pound blue marlin — the biggest weighed here last week. Joe and Brett left Honokohau Harbor early enough to be down off Keauhou in time for the 8:30 a.m. bite. 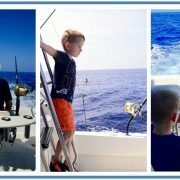 They found their fish on the 400-fathom line off the “Red Hill” landmark. Their angler Paul Musgrave was a visitor from Australia with a bit of previous big-fish experience, which helped make for a shorter than usual fight. Musgrave’s previous biggest was a black marlin of around 150 pounds. With some expert boat handling assistance from Joe, Musgrave had the leader to Brett in about 40 minutes. 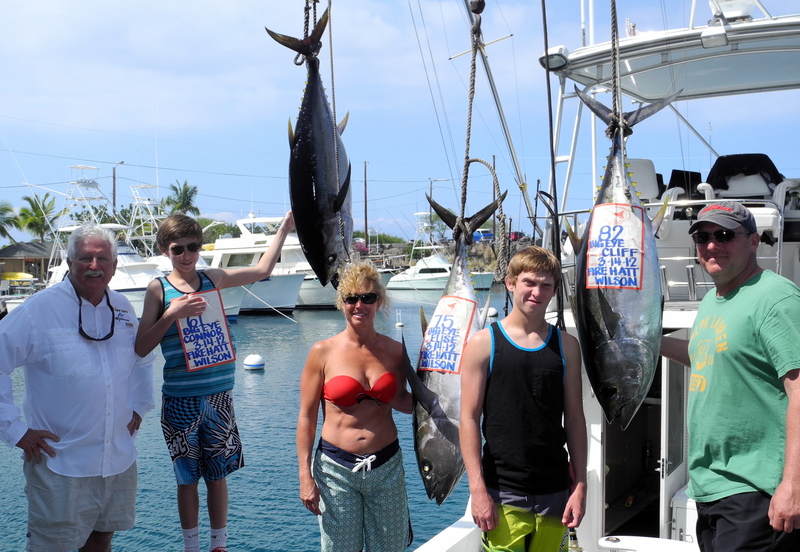 After securing their catch, the happy gang had the fish back at the Honokohau scales by 10:00 a.m. The big fish struck a lure with some very significant history. 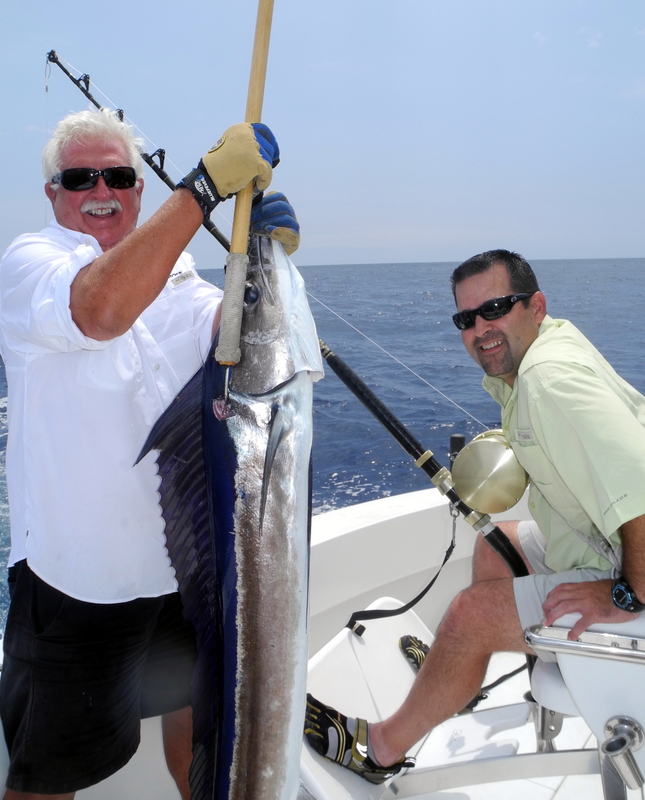 The same lure caught a 1,058-pound blue marlin for Fire Hatt in March 2013. Joe says he was originally nervous about running the lure on routine daily charters for fear they might lose it. Fire Hatt owner Chuck Wilson told him not to fret. The lure is a black MoldCraft Softhead, which is easily replaced. Moldcraft is a high-production manufacturer that turns out thousands of identical lures every day at its facility in Florida. For those of you who are technically-minded, Joe rigs all of his lures with a single-hook positioned at the tail end of the skirt. Joe opts for singles rather than tandem pairs because singles are less dangerous to the crew and easier to release from the fish. In the case of the 685.5, however, ease of release didn’t matter. Fire Hatt kept the fish to donate for use at the June 19th memorial tribute to the late skipper Randy llanes. Organizers are expecting a large crowd to remember the popular fisherman. 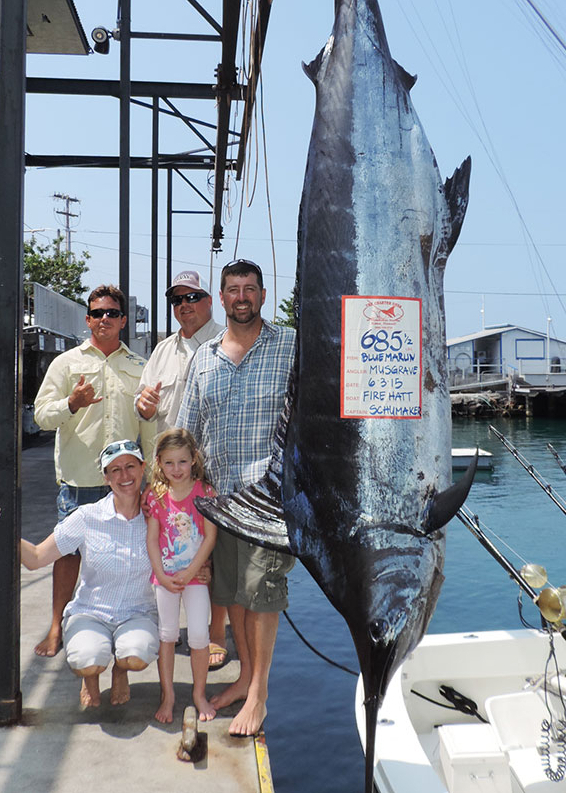 The Fire Hatt’s 1,058-pound blue marlin initiated a rather strange coincidence. 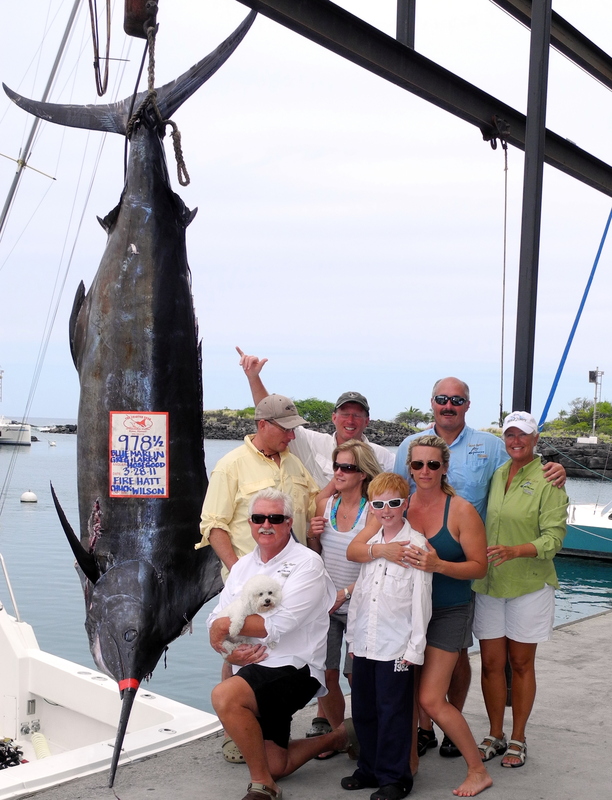 Three of the last six grander blue marlin caught here in Hawaii scaled at the exact same 1,058-pound weight. Considering how random the events were, you can imagine that a mathematician would want to rule out coincidence in favor of a logical explanation. Most likely guess? The three fish were all weighed on the same scale, which topped out at 1,058. Nope. 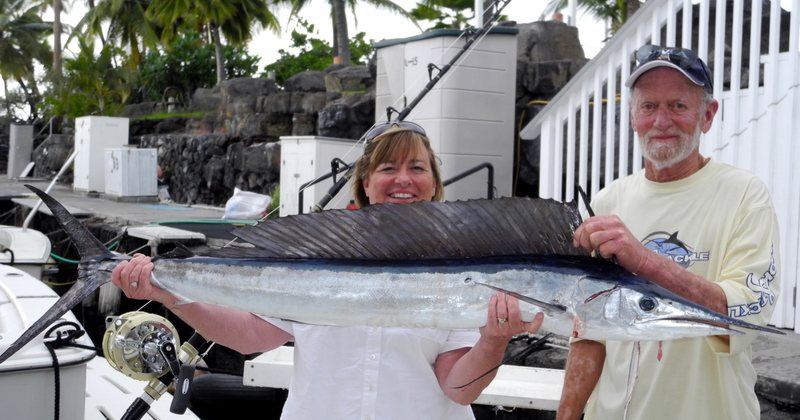 They were weighed on three different scales — one at the Charter Desk, the second at the Bite Me dock and the third in Lahaina on Maui.